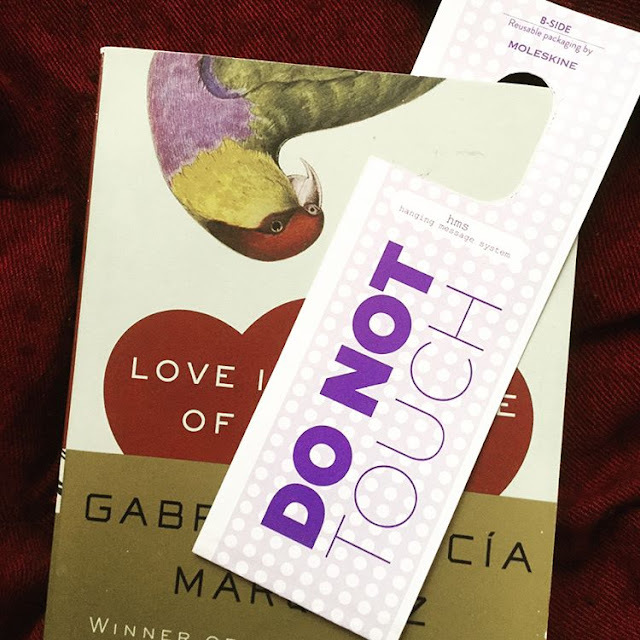 #BookmarkMonday: Do not touch! I'm almost done! I'm almost done! 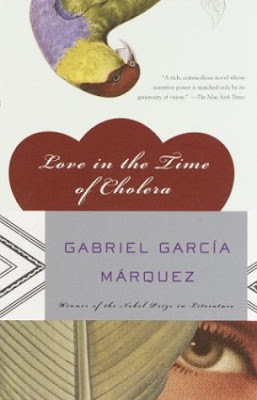 I'm on the last legs of Gabriel Garcia Marquez's Love in the Time of Cholera* and now I'm slowing down because I don't want it to end too soon. 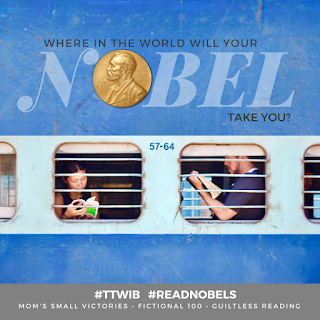 I am reading this for Where in the world will your Nobel take you? and this *swoon worthy* love story brought me all the way to Colombia. 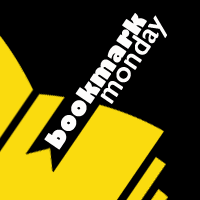 As for my bookmark, this is one of the tags from a Moleskine* notebook bought years ago. This side says "Do not touch" and the other, irononically say "Have a nice day." IThis April, I am hosting Where in the world will your Nobel take you? which combines Nobels, travel, and reading! Hope you check it out!